"Quality that Delivers Since 1983." $4.49 each minimum 1,000 units per custom order. * Comes with snap handles and heavier insulation. * Printed with your company artwork - keep them coming back and make it a long running coupon by posting a $1.00 off coupon right on the front. * 1,000 bag minimum order - no exceptions. * 1,000 bags w/ logo and/or coupon included. THIS ITEM HAS A MINUIMUM OF 1,000 UNITS starting at only $4.49 each. You might not be aware of it, but an "Ingrid" has probably entered your life at one time or another...No, Ingrid is not a Swedish supermodel, but a thermally-insulated delivery bag, and if you have ever had pizza delivered to your home, chances are it was delivered in an Ingrid bag. Ingrid Kosar, Inventor and CEO of Thermal Bags by Ingrid, has seen her bags go just about everywhere since inventing them in 1983. Ingrid humbly says of her invention, "Our bags have been places that I will never see. Like outer space aboard a shuttle mission, or inside the White House kitchen during President George H.W. Bush's term. Yes, our bags have been used by Wolfgang Puck and Disney, and we have even had the pleasure of being able to serve fresh, hot meals to the GI's in our armed forces, too." When we asked Ingrid what was the single most important thing that has come from her success, she did not say "money" or "industry status" or even the fact that she "invented a product that no one else had thought of." Ingrid said, "I was tired of getting cold pizza, and I am proud my product has delivered fresh, hot meals to so many people over the years." Well, you can't argue with that. 131 Sola Drive in Gilberts, Illinois 60136. Our Goal at thermal Bags by Ingrid, Inc., is to create a product that far exceeds your expectations. We use only the highest quality materials and the highest caliber sewing engineers and staff. If you can envision a bag, we can create it for you. We strive to produce quality products that are far better than you dreamed possible. Ingrid Kosar, President of this company, and inventor of the first pizza delivery bag, was recently honored to be featured on the History Channel. They chronicled her invention of the first pizza delivery bag and her design of the Domino's Heat Wave Bag. Our Embroidery Department can handle logos with up to 15 colors. We also screenprint in-house. For custom designs, if it is insulated, cushioned, or padded, we can design it for you. We design custom bags for food and beverage use, pharmaceutical and medical purposes, padded bags for movers, for computers or delicate equipment, for ice sculpture or whatever application you may need. Give us a call. We are extremely competitive with our custom pricing. Chances are, we will give you a much higher quality product for less overall costs, as we can handle any size order. We are in business to help you and your business. If there is anything you need help with concerning your order, please feel free to call us. 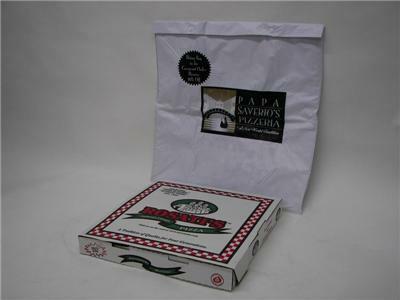 1983 “ Invents first Insulated Pizza Bag. Patents awarded to Ingrid Kosar in the next year. 1984 “ First major contract with Domino's Pizza. 1985 - Awarded contracts for both Army and Air Force. 1986 - Thermal Bags by Ingrid, Inc. nominated U.S. Exporter of the Year. 1987 - White House head chef purchases TBBI bags. 1988 - Develops Insulated bag for Meals on Wheels. 1989 - Develops Insulated bags for Catering & Food Services. The Women™s Business Enterprise National Council certifies Thermal Bags by Ingrid, Inc. as a woman-owned small business. 1991 - Expands in-house custom capabilities. 1993 - NASA Mission uses Thermal Bags by Ingrid, Inc. bag in outer space. Thermal Bags by Ingrid, Inc. develops Domino™s new œHeat Wave bag. 2001 - Expands custom decorating to include embroidery. 2005 - Develops new division and increases line for next generation of promotional products. 2006 “ Featured on the History Channel: œAmerica Eats- Pizza.